Welcome to the August SOTM blog hop. If you've come here from Terrie's Blog, then you are on the right track. The hop is one giant circle, should you get lost along the way please click here X. Yesterday I was in the mood to fuzzy cut. 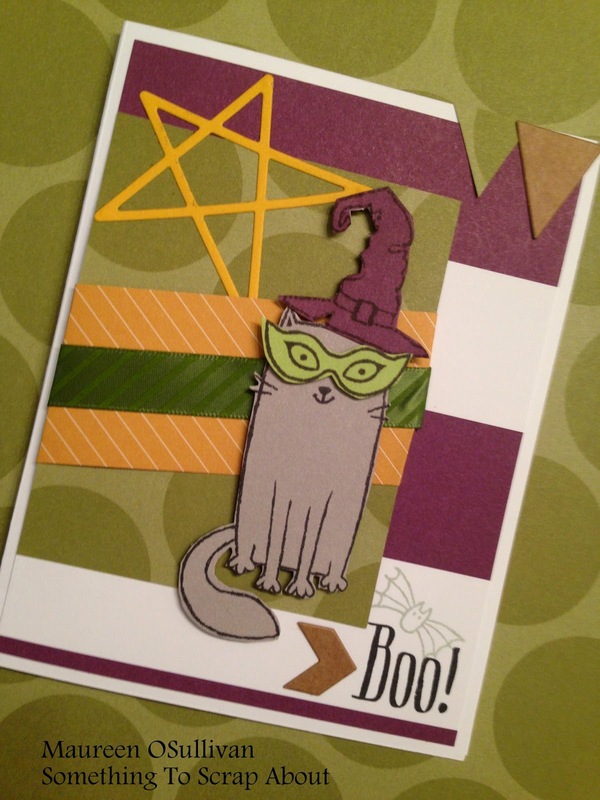 So, I took out some cardstock, stamped and cut away! I used the new Fundamental X line, which is great for Fall. The star was cut out using the new CTMH star cut die set. If you would like to order the SOTM (or earn it for free) and do not have a consultant, then please visit my Store. I hope you like this little card. Please be sure to visit all of the consultant's blogs. Next up is talented Darly's-- here is the link: Darly's Blog. Enjoy! Wow, great color blocking and use of the different papers...love it! Cute card! I love how you created the background panel. Love the graphic design of your card!! Love the way you layered your papers. The angle really is a cool design element. I love your card. I love the jaunty angles of the layering. Love the angles! Cute card.